Diablas Kitchen is a restaurant and caterer specializing in clean comfort food in Idaho Falls, ID. In Spring 2017, they approached me to help rebrand the restaurant to create a friendlier, but more retro feel. 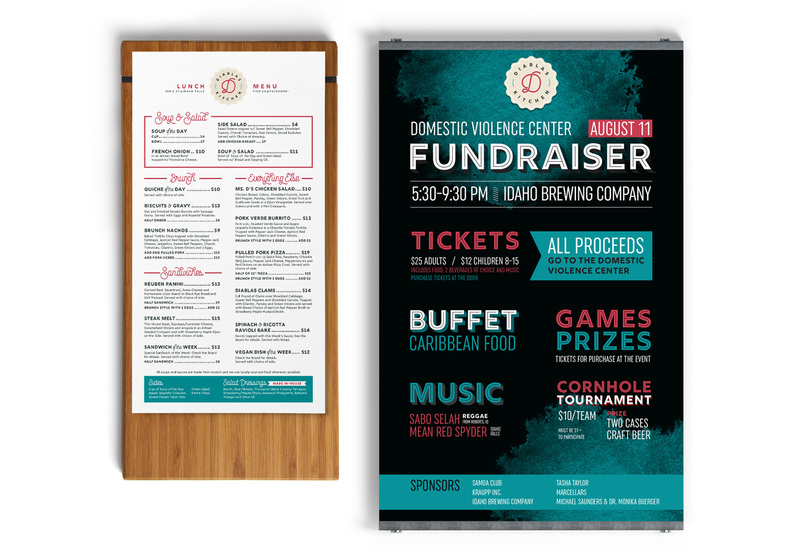 Print collateral, including daily lunch/brunch menu, as well as a poster for their annual fundraiser to support victims of domestic violence.